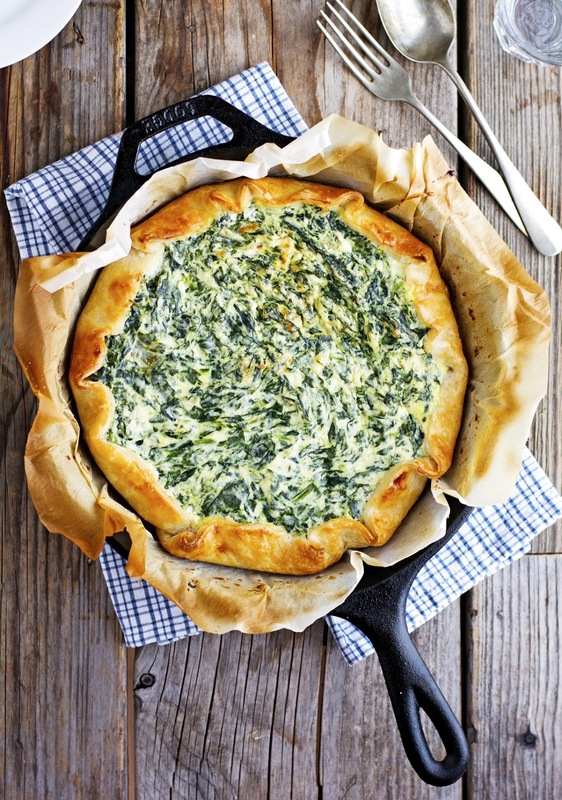 This Spinach Ricotta Quiche is truly the perfect dish for anytime. Slice this up and wrap individually to bring on the go for a delicious lunch during your work day. The tartness of the spinach combined with the creamy sweetness of ricotta cheese and umami-flavored Parmesan cheese makes this dish truly irresistible. 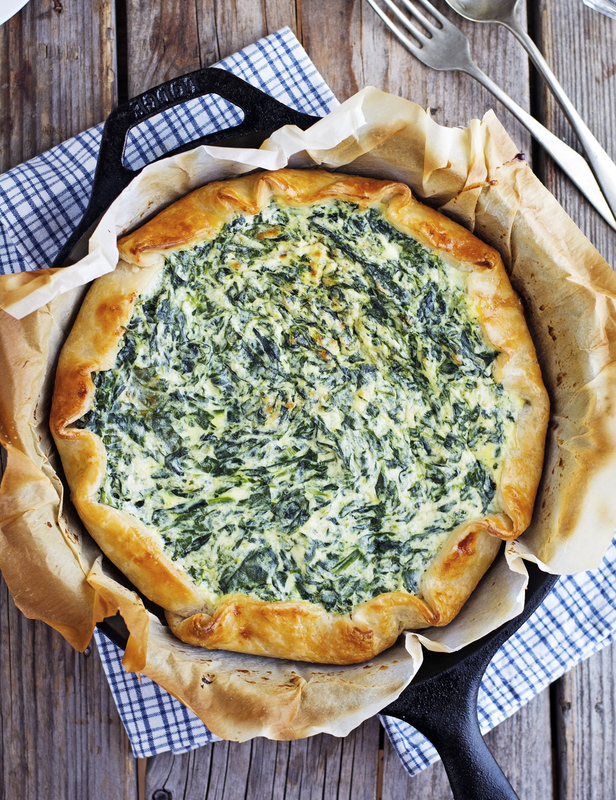 If you don’t count salt, black pepper, this quiche requires only 5 ingredients, and it’s seriously one of the best things you can make with spinach and ricotta. By using store-bought puff pastry (or pie-crust) making this quiche is rather simple and quick. It takes about 10 minutes to prepare. Pretty slick, huh? If you’re wondering what to make for dinner tonight, may I suggest this recipe? You won’t be disappointed. 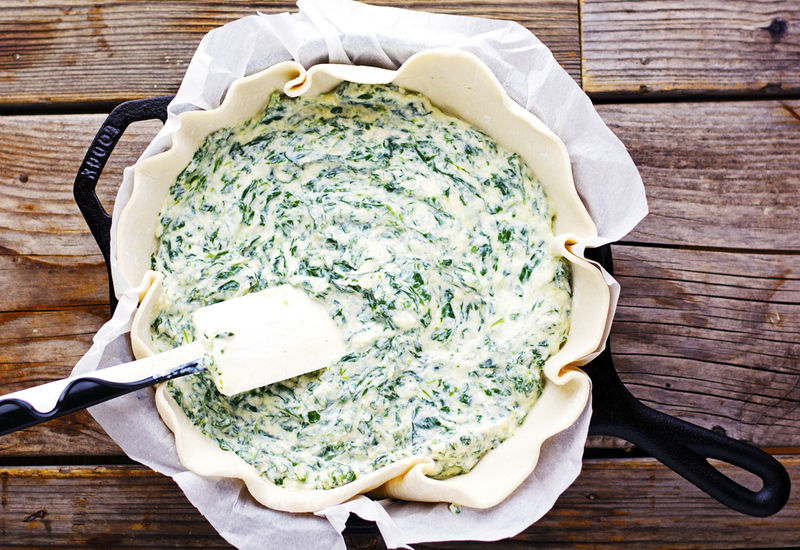 (Easy) Spinach Ricotta Quiche Print this recipe! Note. Personally, I prefer using puff pastry to the usual pie crust on my quiches. It’s just personal taste, plus nowadays you can find this delicious GF puff pastry that I love to use. If using puffed pastry, roll the puffed pastry flat on a large piece of parchment paper into a 9-inch circle. Place it in pie plate, tart pan o a cast-iron skillet, gently patting it down around the base and sides of the plate. Trim the excess dough to ½-inch from the edge. Poke several holes in the dough resting on the base of the plate. Set aside. Stem and wash the spinach, but don’t dry them. Place spinach in a large pot over medium-high heat and cook, stirring occasionally, until just wilted, about 4 to 6 minutes. Drain in a colander. Immediately fill the pot with cold water and add the spinach to stop the cooking, then drain again. With your hands squeeze the spinach to extract as much liquid as possible. Transfer spinach to a cutting board and roughly chop them. In a large bowl combine chopped spinach, ricotta cheese, Parmesan cheese, eggs, salt, and pepper. Mix well. Spread spinach mixture in the pie plate. Bake for 30 to 35 minutes or until cooked through. One serving yields 265 calories, 17 grams of fat, 17 grams of carbs, and 14 grams of protein. Thanks for another great recipe. Love the macro counts too. I will make this for an appetizers for Thanksgiving, thank you for the recipe. 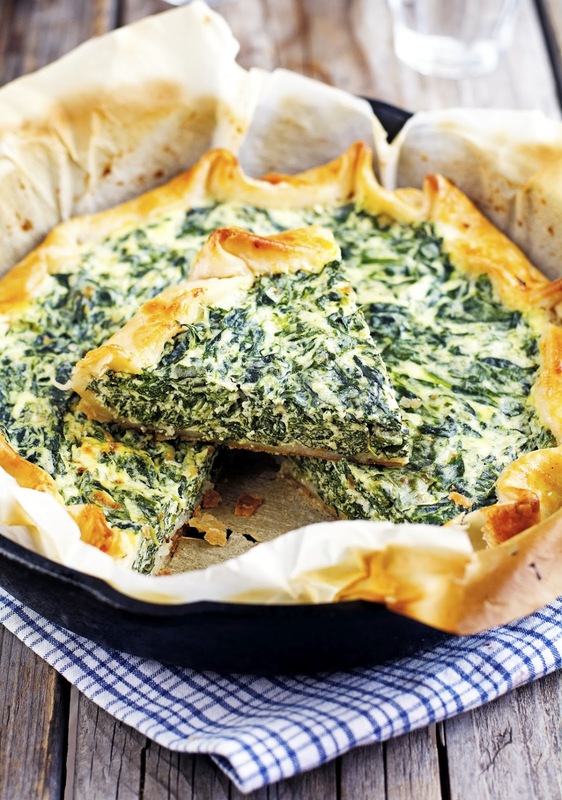 Have you tried making this with frozen spinach?